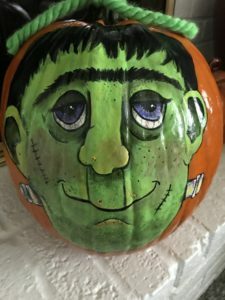 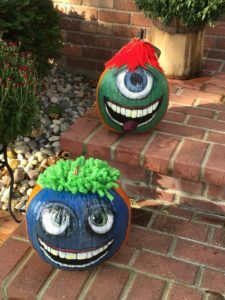 We are professional graphic artists and web designers at Bull Business Products, yet our interests extend to creative holiday ideas, such as painting pumpkins, writing and illustrating children’s books and cookbooks. 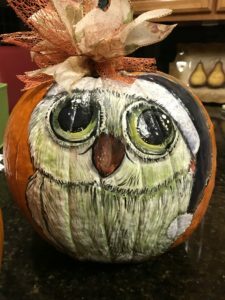 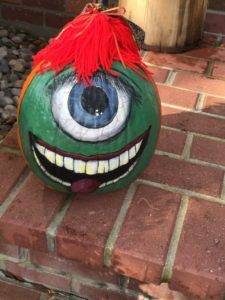 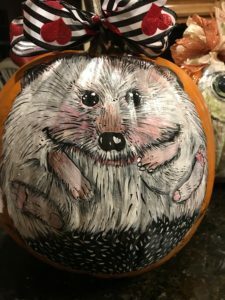 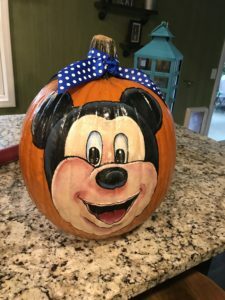 A painted pumpkin can be a fun gift for young and old. 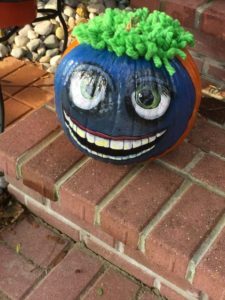 We started painting pumpkins years ago because they last longer, than cutting them out, and they bring laughs and smiles.